The pictures of this Dill Salmon don’t do it justice. It is flaky and flavourful and delicious. It is one of our favourite freezer meals. This is so incredibly fast to put together. It bakes in less than half an hour, making it such an easy recipe. 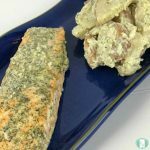 If you are new to freezer meals, this is a great one to start with. Our nickname for this one is Salmon Dilly. I’m not sure where the name came from, but it’s stuck. When I say that we’re having Salmon Dilly for supper, everyone knows what I mean. 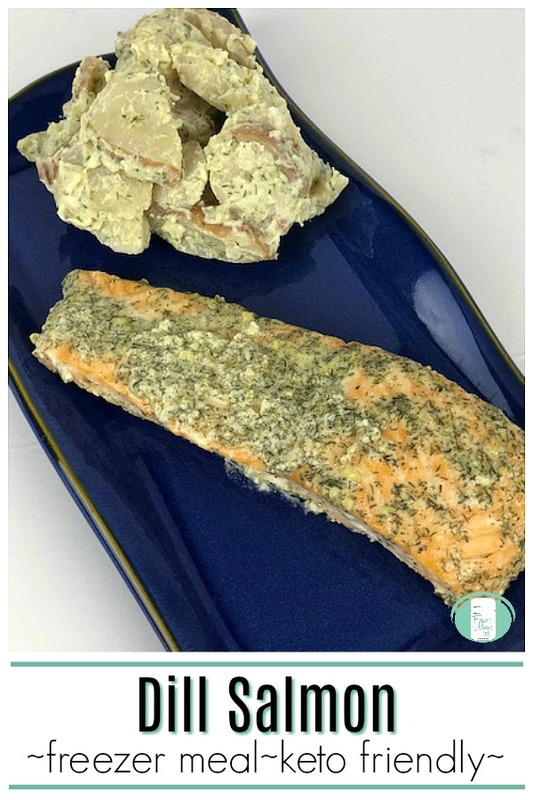 Place the salmon in a large resealable freezer bag or a reusable silicone bag. In a small bowl, combine the other ingredients. Pour in the bag and squish around to coat the salmon. Remove excess air from the bag, seal and freeze. Bake in a 350° oven for 25 minutes on a foil lined cookie sheet. Using tin foil on the baking sheet makes clean up a breeze! 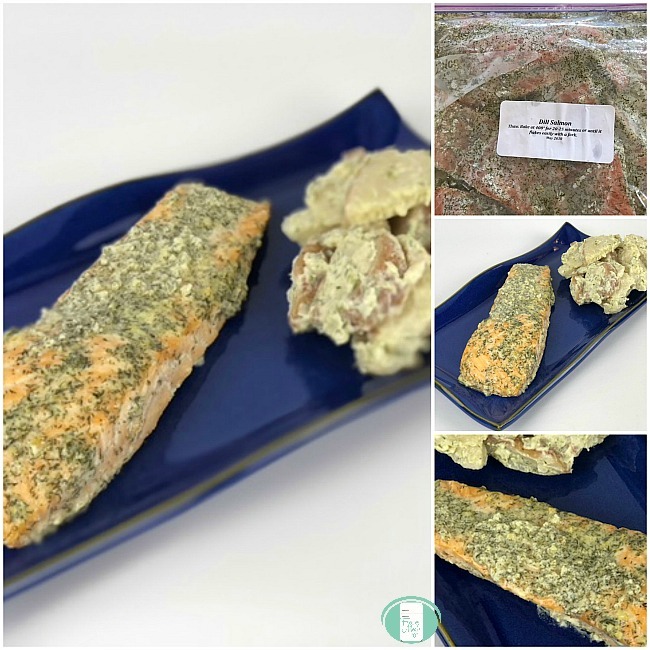 This Dill Salmon recipe is included in our More Family Favourites Freezer Meal Plan. Along with other easy recipes, it also includes printable shopping lists and labels. Thaw. Bake in a 350° oven for 25 minutes on a foil lined cookie sheet.